This dill pickle appetizer is designed to get you on the "best guest" list to every party!! 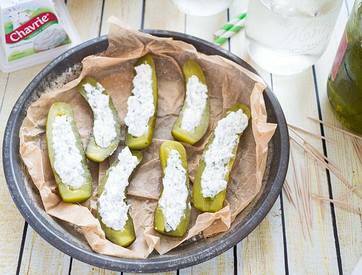 Delicious fresh herbs + creamy goat cheese in your favorite pickle... a quick an easy snack for the big game! !